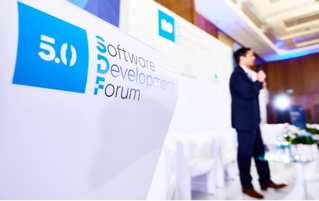 KYIV -- Ukraine’s dynamic IT outsourcing sector could more than double in the next decade, reaching $8.4 billion in 2025, according to Stanislav Sheliakin, a senior consultant at PricewaterhouseCoopers, speaking the Ukrainian Software Development Forum. That’s only if the government comes through with vital reforms to protect intellectual property rights and breathe life into outdated labor laws, he added on Friday. Sheliakin’s projection, derived from PwC’s industry studies, suggests a more moderate pace of growth for Ukraine’s IT sector than the past decade, which saw 10-fold industry growth, according to Chirag Rawat, deputy director of Avasant, an international consulting firm.